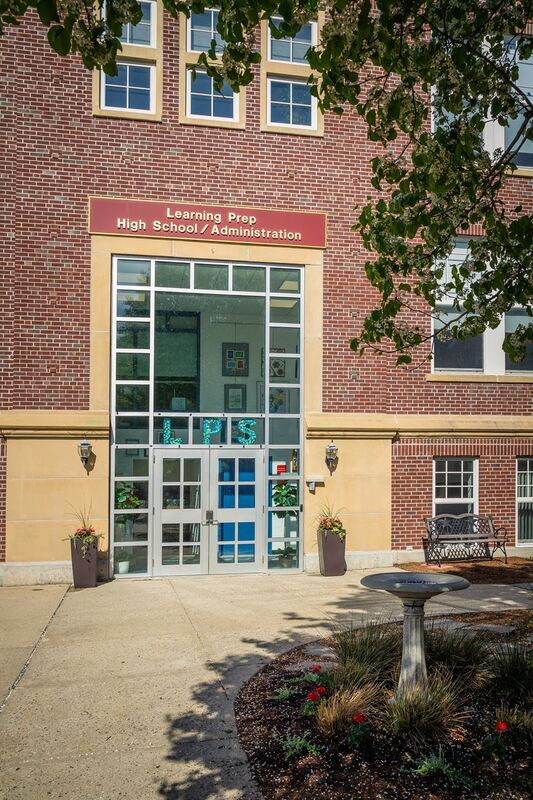 At Learning Prep School, our High School curriculum has been written to parallel the Massachusetts Frameworks and the Common Core State Standards. As a school designed to support students with language based learning disabilities, LPS is committed to its Literature/Language Arts program. Classes meet twice daily in a small group and focus primarily on two frameworks: decoding/encoding, and reading comprehension. Students are evaluated both formally and informally (through observation and inventory) in their acquisition, automatization and application of basic reading and spelling skills, development of literacy, fluency, reading comprehension and written expression. Students are placed homogeneously in language-based classes to meet each level of ability and learning-style requirements. Reading and spelling (decoding/encoding) instruction is presented through a structured multi-sensory, phonetic/linguistic approach. Students are instructed and continually assessed informally in the skills of syllabication, and phonological and structural analysis. A systematic and sequential scope and sequence utilizing controlled words, sentences and paragraphs is presented to enhance fluency/automaticity. Sentence patterns are used to develop, reinforce and maintain the syntactic skills in speaking, reading and writing. Interactive classroom instruction provides students with the daily individual or small group oral and silent reading necessary to develop accuracy, fluency and confidence. The reading comprehension program is based on group and individual readings of narrative text (e.g., short stories, novels) and expository text (e.g., factual content in books, magazines, newspapers). Factual, integrative and inferential comprehension is developed incorporating visualization techniques and through the use of Thinking Maps®. Independent and instructional level reading materials are used to reinforce and enhance fluency, knowledge base and enjoyment. The development of writing at the sentence and paragraph level is presented in a structured manner using sentence and paragraph models, and through prescribed templates or formats. The stages of the writing process are integrated into all written tasks. Students are instructed using Thinking Maps, EmPower™, and Lindamood-Bell’s Visualizing and Verbalizing program. Our program focuses on in-depth study of history, where we came from, our position in society today and the value of living as a democratic nation. Concepts taught in our 4-phase program cover World History II (9th grade - Emergence of the Modern World), U.S. History I and II (10th and 11th grades) and Civics/U.S. Government (12th grade). Information is broken down into small, sequential steps to ensure the conceptualization of information. Oral and written language skills are developed in conjunction with the understanding of Social Studies and History. Thinking Maps® are used regularly. Connections are made between curriculum and current events. Vocabulary is taught prior to the introduction of each chapter. Students' prior knowledge helps with comprehension. In keeping with our mission to support students with learning disabilities, the science curriculum is language-based. It’s designed to facilitate ongoing exploration and inquiry about the world in which our students live. Science instruction occurs daily and in small groups. Cooperative learning is used for experiments. Students are involved in frequent experiments, hands-on learning activities and other multi-modal learning techniques. Taking learning risks and using critical thinking are stressed. The goal of the science curriculum is to provide information and skills which expand knowledge while increasing the student's receptive, oral and written language ability. Lab experiments are conducted upon completion of each lab. All of the science classes are modified to fit student needs. The mathematics program encompasses all aspects of math, from the basics through Trigonometry. Students are placed homogeneously in language-based classes to meet each level of ability, as well as individual learning style. LPS's math curriculum is based on the Massachusetts Frameworks and the Common Core State Standards. However, there is also a primary focus on communication, along with problem-solving and reasoning. In the classroom, we can concentrate simultaneously on extending students' math abilities and fostering their communication skills. Explore, think and reason logically. Use a variety of tools and methods to effectively solve non-routine problems. Recognize that math is not simply a set of concepts to be memorized. Develop self-confidence in developing math abilities. Students gain math understanding through problem-solving, communicating, reasoning and making connections on a consistent basis, all of which are the cornerstones of the LPS curriculum. A strong problem-solving approach builds on natural, informal procedures for doing math that students can develop on their own. Students are encouraged to refine and extend problem-solving skills through investigations, explorations, speculations and discussions. Communicating helps students clarify thinking and sharpen understanding. Problem-solving skills and reasoning abilities are enhanced as they discuss ideas and fine-tune explanations. Language and communication skills are stressed in everything taught and done in the classroom. Reasoning involves making logical conclusions, explaining and justifying one's thinking, and applying these skills in various math and real-world contexts. Critical thinking and reasoning is at the center of what and how we teach. The emphasis on critical thinking, problem solving and reasoning allows students to understand the application of math in daily life. Students learn to see how different math concepts are connected to one another. Mathematics also connects and relates to other disciplines like the arts, science, history, health and language arts. Manipulatives are used at all levels to provide a tactile, as well as visual, approach to learning. 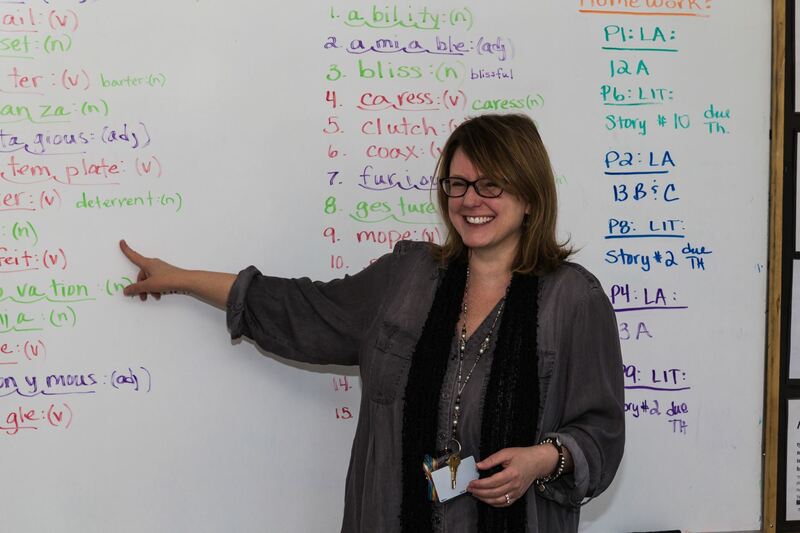 LPS Health and Student Issues courses are designed with a language-based approach. We use both visual and auditory cues and tools, such as Thinking Maps® and other organizational strategies, to ensure our students receive a comprehensive education. Pragmatic language skills and Social Thinking© are infused throughout the curriculum, giving students the opportunity to learn and practice them within the classroom setting. The central focus of Health and Student Issues is on educating students about how to make healthy and safe choices. In addition to an anti-bullying curriculum, students explore physical, emotional and behavioral issues crucial to living a happy and low stress life. Mental health habits and coping skills are also addressed to help students learn how to face the challenges of adolescence and a growing sense of independence. Students gather and internalize information in order to take proper care of themselves and increase positive social interactions. The High School counseling staff teaches these small, psycho-educational classes, giving students a forum to gather information, ask questions, and to share and learn from each other’s perspectives. Our approach involves examining one’s own values and beliefs (including family and religious), decision-making (emphasizing impact and outcomes) and tolerance (agree or disagree, but be respectful). If you have any concerns about your child participating in any portion of the curriculum, please inform your student’s counselor. The curriculum topics, goals and objectives, and possible activities and movies are broken down by grade level. *Students at the High School level may elect to participate in Physical Education. "I want to thank each and every one of you for a wonderful year. I am so proud of Hala and all that she has learned this year. She just loves being at LPS and all of you. She has made so much progress academically this year and I am so happy about this. 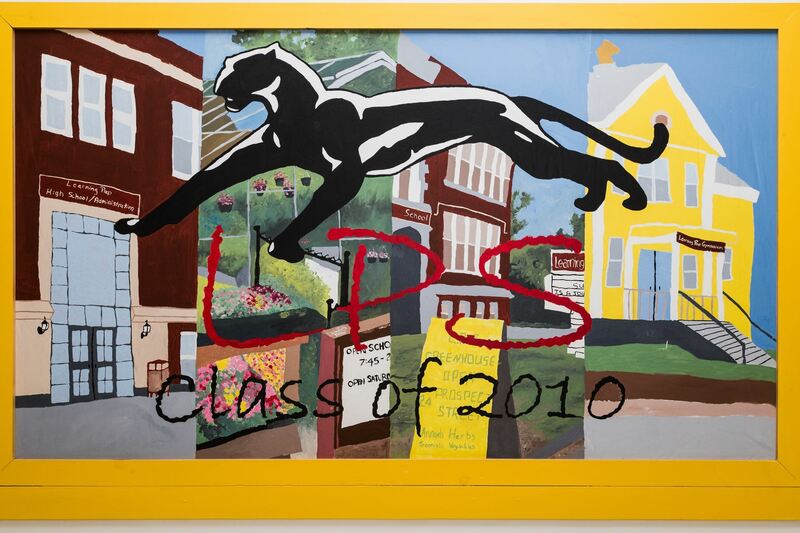 LPS is just a perfect fit for her and I am so grateful that she is able to go here." "Thank you again for a wonderful year."